Productivity and office spaces open up a Pandora’s Box of ideas, arguments and factual information on how modern organizations are restructuring their workspaces to increase collaboration and to spark that essential innovation, which happens when people casually meet. During the time of Fredrick W Taylor, increasing operational efficiency at the workplace fundamentally meant arranging chairs and tables in an open space facing the supervisor. It was a time when organizations believed that supervision increased productivity and thereby scaled operational efficiency. 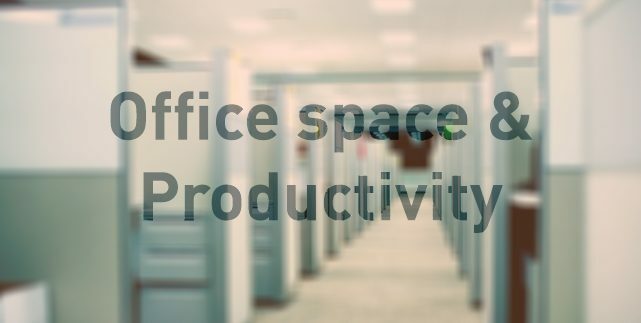 The efficiency and productivity of workspaces since then has evolved leaps and bounds. Standing evidence to this are changed workspace environments of many tech giants and fortune 100 companies across the globe. In that case does collaboration really help? Does getting engineers and sales people talk improve performance? While we may not be able to actually narrow down on results a Harvard Business review by Waber, Magnolfi and Lindsay (HBR, Oct 2014) states that performance and productivity can be measured using a variety of tools. Using socio-metric badges and network analytics, data on communication, interaction and location can be captured. This was deployed on many industries like pharmaceuticals, finance, software and hospitals and the team at Harvard was able to unlock many secrets of a good office design with regards to key aspects like density, social nature and proximity of people. Office spaces and business centres which offer workspace solutions, facilitate the measurement and management of productivity by supporting a wide variety of performance metrics and design their spaces to improve productivity and increased innovation and sometimes both at the same place. 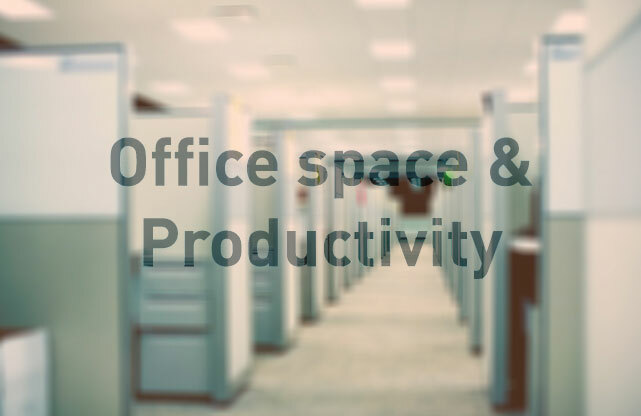 Why you must opt for workspaces from the Office Space and Business Centre providers? To relieve your business of amortization of the asset and make the workspace your strategic tool for growth: Business centre and workspace providers focus a lot on the design element to provide obvious and ulterior benefits on productivity and operational cost –efficiency for a business. The active workspace of the business becomes the holy grail of growth. energy – the number of people the average employee interacts with every day. Workspace providers create offices of the future: Highly focused on offering a work environment that scales the probability of meaningful interactions to increase innovation and productivity, the spaces are highly networked, multi- purposed and ultimately re-define the borders between the employer and the employee. Offices designed to reflect the 21st century digital work sphere: While the office space creation industry is recent, it brings with it the much needed systems and network structures that facilitate the merging of digital communication patterns. This advantages the business with momentum to strategize for the future apart from attracting the best among the millennial talent. The networked high-energy office space is a great retention tool: When your employees spend their most productive hours in a day in the office, the place they work and everything and everyone that surrounds them have a positive or negative impact on what they deliver. An encouraging, well-designed, and high –end interior design is definitely set to give them every reason to continue working for your organization. Economy- Set-up, maintenance and upgrade: Investing, Identifying and setting-up an office premises incurs huge costs along with fragmentation of resources. Maintenance and upgrade costs along with strategizing and implementation of the same requires additional resources along with management bandwidth. Opting for an office space on rent, addresses all these concerns in the most economical way. Office space and workspace creators and providers are rapidly re-defining ‘workspaces’ – where and how work is done. For these new- age industry thought leaders, cubicles and boxes are a thing of the past and the office of the future is designing physical and digital workspaces depending on what can be achieved within and around them. The rapid transformation of this industrial segment is also igniting new ideas in the minds of business leaders on leveraging serviced office spaces for productivity and operational efficiency. As for the benefits the office space industry can provide for the Indian business sector, the evolution has just begun. Workafella business centres provides high energy work spaces with world class infrastructure, Our business centres are available in Chennai & Hyderabad and we are expanding into other cities soon.